Is your aircon not cooling correctly? Contact us today! Johannesburg’s trusted air conditioning solutions provider for many years! We go the extra mile to ensure that our customers are always happy with our service. Welcome to the home of The Aircon Company. We are a trusted air conditioning reseller and installations company. We aim to bring you the best of what is available in the air conditioning market. We offer installation, servicing, maintenance and aircon upgrade services. We are an accredited supplier of air conditioners produced by the leading brands in air conditioning solutions. Our top three brands are Samsung, Jet-Air and Alliance Air. We service clients across the northern suburbs of Johannesburg. We service both clients who need air conditioning solutions for their homes and commercial properties. Climate change as a result of global warming has resulted in temperatures rising to all-time high levels, especially here in South Africa as we are so close to the equator. With that came the boom of the air conditioning industry. With numerous companies spread all over South Africa all offering different benefits and perks for subscribing with them. It has taken us all these years to establish ourselves as a reputable service provider through our commitment and passion for service delivery and customer satisfaction. We specialise in reselling and supplying air conditioners to the South African market. We will also send our technicians to assist you with upgrading your air conditioners and installing your newly purchased air conditioners in a hassle free process. When you choose The Aircon Company to be your service provider, you choose convenience and innovation. Samsung manufactures a range of various electronics for home and commercial use. This leading manufacturer has been in business for over 70 years and has earned its reputation of producing the most cutting edge electronics. The Aircon Company is an approved provider and supplier of Samsung air conditioners. Alliance Air produces a wide range of contemporary air conditioners and water heaters. 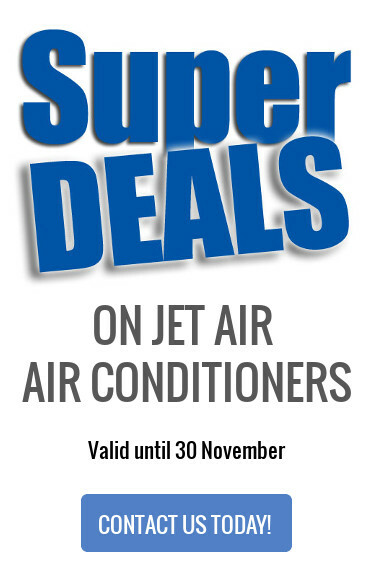 Jet-Air is a proudly South African supplier of professional air-conditioning and water heating products. They provide air conditioners powered by world-famous brands such as Hitachi, Toshiba, Panasonic and many others. All Jet-Air products are CB and NRCS certified. Jet-Air air conditioners are suitable for both residential and commercial use.